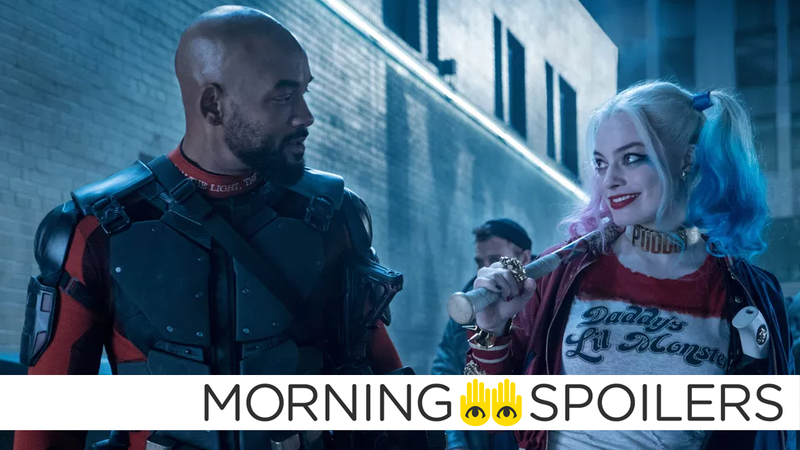 Deadshot and Harley will likely #Skwad again in Suicide Squad 2. There’s even more teasery footage from Ant-Man and The Wasp and Halloween. Marvel TV head Jeph Loeb offers teases about the future of Defenders, the return of Iron Fist, and John Ridley’s ultra-secretive Marvel TV project. Plus, Peter Jackson is back to denying any involvement with the new Lord of the Rings show. Spoilers, go! Hope christens The Ghost, Scott plays the drums, and Tim Heidecker makes a cameo in the latest TV spot. Laurie sings the same, made-up song she did in the original before blowing the head off a dummy in a second teaser for the trailer arriving later today. ...and here’s another, featuring more badass Laurie Strode. In the wake of recent conflicting international reports about Jackson’s involvement in the upcoming Amazon series, Digital Spy has a statement from Jackson’s publicity team expressly denying that the director has any involvement with the show. Finally, a new, behind-the-scenes featurette explores Jesse’s grotesque upbringings.